You know those print reps who stop by every now and then, sell you on a project and then disappear when the project gets tricky? Yeah, you won’t find anyone like that at SeaChange. We’re a team that thrives on challenges. Lives for relationships. And isn’t shy about getting our hands into the mix. We’re here to make it easy for you, from same-day quotes to last-minute edits. With more than two decades in the printing industry and her experience in business development, leadership and strategic planning, Wendi has a formula for creating empowered teams to deliver the ultimate customer experience. Often kidded for her positivity, she takes a creative approach to all aspects of the business. She is passionate about the industry’s transformation and how the SeaChange team can help customers achieve their goals through technology solutions and a multi-channel approach. Wendi’s love of analytical thinking began long before she earned her MBA. In fact, a childhood spent in rural Minnesota helping her parents manage a small gas and propane business sparked her strong work ethic and passion for taking care of the customer. She lives in Eden Prairie with her husband, Jim, their two sons and their much-loved golden retriever, Murphy. She enjoys golf, travel, entertaining and cheering on her boys in all they do. 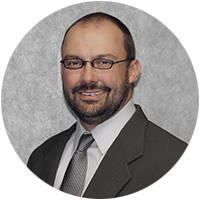 With over 20 years of experience in the printing industry working in virtually all areas of the business, Justin is passionate and well versed in understanding client’s needs on all types of projects. His experience spans from running a press, estimating, scheduling, customer service and plant management which gives him all the tools necessary to not only understand client’s expectations, but to be proactive to ensure success. He loves getting involved and working closely with the client and the SeaChange team members on unique and challenging projects. He and his team provide an extreme amount of focus, whether it is a simple one color letterhead, a sophisticated multiple piece match mailing or packaging that will embrace your product and brand. Justin’s positivity and consistent emphasis on quality resonates throughout SeaChange. Justin lives in Andover with his wife and four daughters. When not researching new technology and processes, he can be found cheering for his girls at soccer games or gymnastics meets. He also enjoys golf, tennis, hockey and running. With a passion for redefining print and supporting Information Technology needs in the advertising and printing industries, Arin brings a depth of understanding to the changing IT needs of a modern growing organization. With almost 20 years of experience leading technology teams and successful security compliance initiatives including HITRUST, HIPAA, SOC2, and PCI-DSS certification, addressing and mitigating security risks is one of his key strengths. Arin has a passion for bringing new solutions to market by leveraging cutting edge technology and automation that expands capabilities for SeaChange clients and brings added efficiencies to internal processes. When not evaluating the latest technology, Arin enjoys volunteering for non-profit organizations that give back to the community and strengthen families. He also enjoys applying his troubleshooting skills, modernizing classic cars, and spending time at automotive race tracks & auto auctions. For more than two decades, Doug has played an active role in ballot production for multiple states. An innovative thinker, he’s always looking for ways to create more efficient and accurate election processes. Doug has served as the director of election services for the largest election provider in the United States, and he now focuses his attention on providing a full-service approach to elections on a regional level. He recently directed the major integration of a ballot production workflow on SeaChange’s new OCÉ print production system, enhancing the ballot production and election administration experience for customers for years to come. 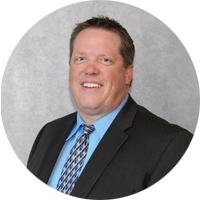 When Doug isn’t busy working on elections or election preparation, he enjoys fishing, golfing, the Minnesota Twins baseball games, his family’s hobby farm, the outdoors and attending his children’s events. Doug lives in St. Cloud with his two children. With more years in sales and marketing than she cares to admit, the University of Wisconsin-Eau Claire graduates' style combines a comprehensive knowledge of paper, print, and marketing, alongside creative and emerging technologies. This experience allows her to bring a unique and dimensional perspective to her clients' needs, coupled with a strong personal determination and innovative flair. 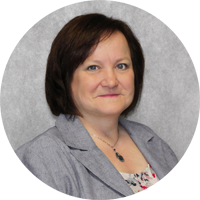 Ann Marie approaches every project by first understanding what the clients' expectations are and then providing them with the optimum solution. The Shoreview resident lives with her husband Michael, her daughter Samantha, and their friendly dog, Harvey. In her free time she enjoys motorcycling, all water sports, including barefoot waterskiing, and being involved with her daughters' love for dressage horseback riding, as well as spending time with their affectionate horse Anna. Mary sources and produces branded apparel and promotional products that help build brand recognition and loyalty and keep employees engaged. She loves collaborating with clients to develop creative, engaging solutions. She began her promotional products career after 20 years in graphic design, marketing and branding for leading agencies and corporations in the Twin Cities. It’s the perfect role for someone who earned a degree in apparel design yet scored highest for investigative journalist and librarian in a high school career interest survey. In retrospect, Mary realizes, that survey translates well to what she does now: “extreme research to find or manufacture what the client is looking for”. Of course, in true Mary style, that process includes a keen attention to design too. She and her husband live in Deephaven with their crazy Goldendoodle, Stella. Some of her favorite activities include travel, hosting dinner parties and getting out on an SUP, skis or bike. Having grown up on a farm in rural South Dakota, Mandy is no stranger to hard work. 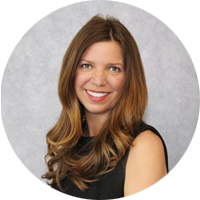 With a degree in Graphic Arts and over 15 years in the industry, Mandy brings well-rounded expertise in sales, client services, production management, and estimating. 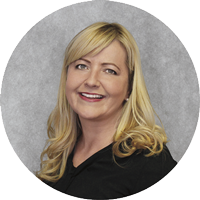 Mandy is exceptionally passionate about building strong client relationships. She greatly enjoys the journey of connecting with individuals in order to bring them perfectly tailored solutions. Her refreshing positivity and keen attention to detail help ensure that projects go smoothly through all stages. Mandy lives in Apple Valley with her husband and their two sons. She enjoys cooking, entertaining, and reading. Mandy’s boys keep her energized and on her toes. Her home houses a large collection of dinosaurs, monster trucks, and super heroes. She’s been told she wields a mean light saber. Tammy has been surrounded in print her entire life with her Dad, brother, uncle and cousin all in the industry. Tammy followed her dad into the industry and started working at his company in the bindery at the young age of 12. She graduated with a Marketing degree from the University of Minnesota-Mankato and came back to print. 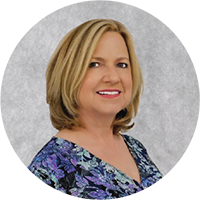 Between owning her own PreMedia company and many years as an account executive, Tammy’s knowledge of prepress, print, web to print, mailing, digital print and large format solutions runs deep. Tammy is incredibly passionate about helping customers make their projects shine; and equally as important, providing a silky smooth process along the way. When Tammy is not working, she’s raising money for her foundation, The Holly Scanlan Foundation. She is an avid runner and loves biking, volunteering, traveling, and watching sports with friends & family. She lives in Minneapolis where she is close to all her favorite things: running and biking trails plus her family and friends. 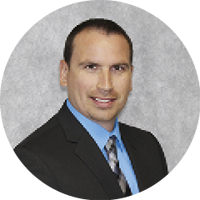 With a Packaging Engineering degree from the University of Wisconsin-Stout and extensive experience selling packaging solutions, Anthony has a passion for helping customers through the design, development & production phases of a project. He has an outgoing personality and realized early on in his career that developing lasting business relationships with clients is where he belonged. When Anthony is not working, he’s typically on the golf course in nice weather, traveling, fishing, or watching and playing sports with friends & family. He lives in Eden Prairie with his wife and 2 young boys where they love to hang out in the backyard entertaining friends, and take frequent trips to Wisconsin to see family. When it comes to Loyalty Programs, Scott is an expert. Scott graduated from UW Platteville in print management giving him a great start as an estimator and then customer service. 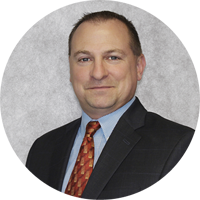 Being so personable, Scott quickly transitioned into new business development and has never looked back. 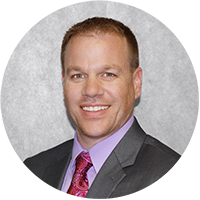 With over 27 years in direct mail, Scott has the right combination of experience and passion to help customers achieve a noted increase in ROI in their marketing campaigns. When not at work, Scott loves to be on the water with his wife and two teenage daughters on their boat; time permitting between driving his youngest daughter to volleyball games and visiting their oldest at Mankato State. Scott enjoys 4-wheeling with friends, playing golf, and spending time outside. Ask to meet his two Boxers – one appropriately named Rocky, the other (not Adrian), Rosie. The daughter of an offset press operator, Ruth was born into the industry and has embraced it ever since. 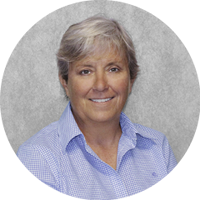 She has more than three decades experience and has worked in customer service, purchasing, estimating and sales. 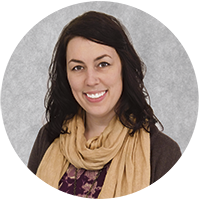 Ruth enjoys using her experience and knowledge to make projects go as smoothly as possible for her clients. In her free time she likes attending performing arts events, traveling, and visiting national parks. She and her husband, Scott, take pride in having a beautiful yard. They have a daughter and son-in-law. From his early days as pressroom helper to his role as pressroom foreman, Kevin has helped clients ensure their passion for the printed piece translates into quality work. His 30+ years of production experience—including pre-media, press, and bindery finishing—combined with his commitment to building client partnerships based on honesty and mutual respect has now made him a successful project manager. In this role, he guides clients’ entire projects from concept to completion. Kevin is blessed with his wife, two daughters, three grandchildren, and Golden Retriever grand-dog. When he’s not watching and playing with his grandchildren, he loves fishing, golfing, and listening to music, especially live music at smaller venues. An avid MN sports fan, he can often be seen at games cheering on the Vikings and Gophers. 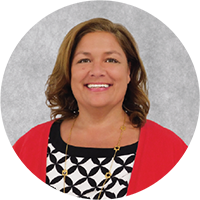 With more than 20 years in the Election industry, Shelly has extensive knowledge and has established strong customer relations with government officials. Shelly makes herself available to customers for assistance and guidance every step of the way - from ballot questions and portal completion to absentee and voting supply needs. She is here to assure your timeframes and deadlines for elections are met. Shelly provides election officials with the tools necessary to conduct accurate and transparent elections. Shelly and her son, Preston, live in Sartell. She enjoys camping, outdoor activities, traveling and socializing with her friends. 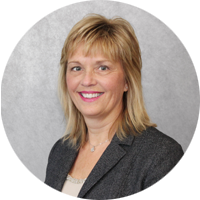 While her current role centers around customer service, Cheryl has gained a wide variety of experience in the printing industry throughout the past 15 years including inventory management, planning, forecasting and budgeting. Her 25+-year career also includes jobs in the manufacturing, human resources and medical fields. Driven to go above and beyond her clients’ expectations, Cheryl says she looks forward to seeing the challenges each day will bring. Cheryl enjoys traveling, gardening, reading and antique shopping. She and her partner, Jack, have five children, five grandchildren and two cats. With her father, grandfather and aunt in the industry, Tina has printing in her blood from both sides of the family. She joined them just out of high school more than two decades ago. From her first role in a bindery department to her current job as account manager, Tina calls choosing the print industry “one of the best decisions” she has ever made. While Tina has worked in customer service for years, she says her early hands-on experience gave her a deep understanding of print and made her stronger in her current role. She has an unwaveringly positive attitude and says she enjoys coming to work every day because of her clients. Outside of work, Tina and her husband Dan keep busy with their two daughters, son and a puppy. She’s very dedicated to whatever her kids do, including trapshooting, softball, weightlifting and wrestling. Amanda admits that while in college, she hadn’t planned on a career in print but over the last 12 years she has made just that! She has built a wide knowledge base through a variety of positions in Customer Service, the majority of them with a strong emphasis on mailing. She has an in-depth understanding managing the overall customer experience; from onboarding to project completion; and including troubleshooting at the various stages of a project’s lifecycle. In addition to practical experience in writing and evaluating processes and workflows for efficiencies and high quality standards. She is eager to have an impact on our day to day work flow with her positive perspective and depth of knowledge in Mail, Customer Service and Process Management. Amanda currently lives in Saint Cloud with her husband and their cat. When she’s not reading or doing something artsy, she can be found visiting family or spending time in the St. Croix River Valley. If you can’t find her there, check the North Shore. She and her husband have been scheming for years as to how to spend more time enjoying the splendor that is Lake Superior and Sven & Ole’s Pizza. 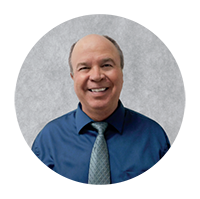 With over 35 years of experience in the graphic communications industry, Pat brings a keen understanding of production to the finance and accounting department. She began a love affair with print the first time she walked into a plant, which has only grown stronger through the years. 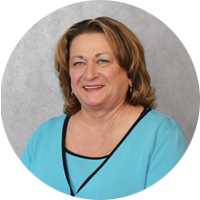 Using her background of meeting the financial and computer systems needs in commercial, digital, book, and label printing, Pat’s priority is to transform data into easy to understand information for all facets of the organization, in a way that supports and informs their decision making. Pat lives in West St. Paul with her twin sons, two cats and a snake. She dabbles in local politics, having served four years on the local school board. For lighter entertainment they enjoy camping and traveling. 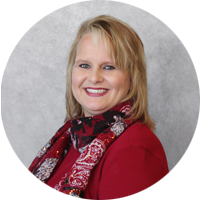 Missy’s 15 plus years of HR experience includes developing policies, employee relations, performance management, recruiting, benefits, compensation, safety, training and Affirmative Action. This extensive background brings expertise to SeaChange’s internal procedures and policies designed to meet our clients’ security requirements. 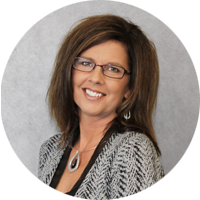 Missy's HR career has focused on the printing industry and she loves working with employees on the manufacturing floor. Her desire to understand the production process, equipment and coworker's needs gives her insight on how to best meet company goals and values. Outside of the office Missy’s time is spent centered mostly around her husband and two sons. They enjoy traveling, fine dining, hockey and the great outdoors - mostly fishing - together! Her creative side is satisfied by time spent with friends crafting and baking her “Sweet Malissa’s” Cupcakes.